For the latest image in his iconic Day to Night series, photographer Stephen Wilkes set his sights on an important ecological reserve in British Columbia. Here's why. The Robson Bight (Michael Bigg) Ecological Reserve sits on the northeast side of Vancouver Island in the waters of Johnstone Strait. It’s a place of extraordinary beauty and rich biodiversity, home to a vast array of both terrestrial and marine wildlife. 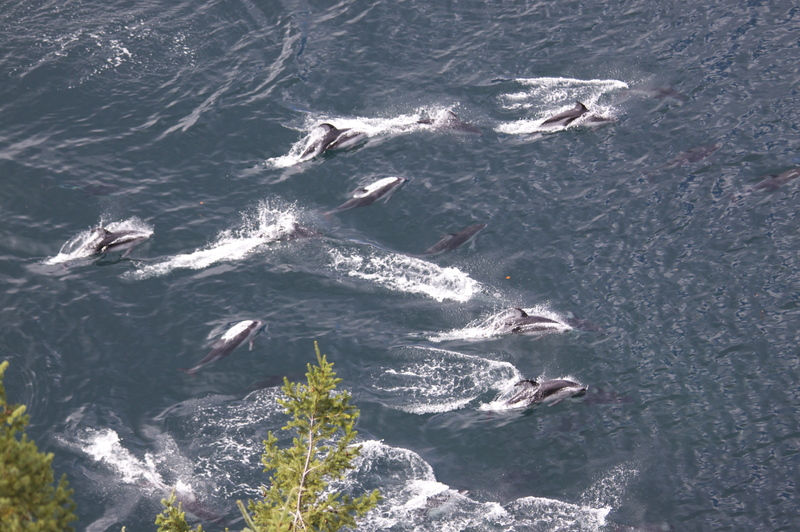 Among the species found here are Pacific white-sided dolphins, humpback whales, Dall’s porpoises, Steller sea lions and northern resident killer whales. The reserve, named for Michael Bigg, the pioneer of modern killer whale research, was established in 1982 and covers more than 1,700 hectares of water and forest. It’s intended to protect important marine mammal habitat, and, more specifically, to create a sanctuary for the northern residents. The reserve protects a pristine estuary shoreline, as well as a small section of coastal forest, to preserve key habitat for the whales, which have increasingly been threatened by people. Interactions between people and whales have occurred in Johnstone Strait for as long as humans have inhabited the region, a period of at least 10,000 years. Local First Nations, tribes of the Kwakwaka’wakw, have a profound kinship with the orca, which is depicted in their artwork, history and stories. This relationship has existed for centuries, and is manifested in the bight by the remains of fish weirs, culturally modified trees and a midden indicating there may have been big houses located at a site on the Tsitika River, which runs through the reserve. ensure the northern residents don't go the way of the endangered southern resident killer whales — who reside in the waters around Victoria — and number just 76.) One of the key reasons for the threatened status is noise from, and obstacles posed by, boats. Increasing marine traffic (including kayaks and recreational and commercial whale-watching vessels) is creating greater disturbance in key habitat. Many studies (including some conducted at the bight) have shown that close approaches by boats can disrupt whale activities necessary for their survival. Noise from boats has the potential to interfere with the whales’ ability to communicate, and may reduce their ability to coordinate activities. Sound can also impact the echolocation signals or acoustic communications whales use to locate food. Such interference can reduce foraging success, potentially contributing to starvation. The reserve, designated as critical habitat for the northern residents by Fisheries and Oceans Canada, helps address these threats by providing an area free from boats. Whale watching is prohibited and there is no land access. 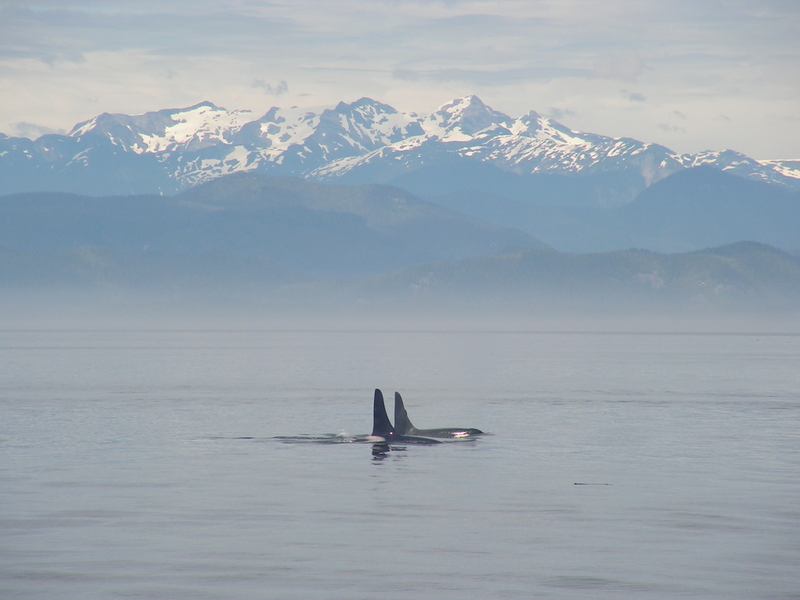 BC Parks, responsible for the protection of orca habitat in the reserve, works with the Cetus Research & Conservation Society, a non-profit dedicated to protecting marine mammals in the wild, to monitor the reserve. Cetus runs the Robson Bight Warden Program, a stewardship effort intended to ensure the whales remain undisturbed in the reserve and to educate the public. Wardens work on the water to help boats avoid the paths of whales and keep boats out of the reserve. Cetus also operates a research station across from the reserve, where, among other things, researchers share the “Be Whale Wise Guidelines” with visitors. These guidelines recommend staying at least 100 metres away from marine mammals and keeping out of their intended path to ensure groups are not separated. They also provide suggestions on minimizing disturbances and operating boats appropriately. Commercial whale-watching operators should be aware of the guidelines, but many private boaters and kayakers are not. Cetus research indicates the majority of harmful incidents between vessels and whales arise from pleasure boaters and kayakers. Robson Bight Ecological Reserve and the surrounding forests and waters of Johnstone Strait are a jewel, not just of B.C., but of the entire natural world. People come from all over the planet to witness the extraordinary wildlife and wilderness in the region. But that very wildlife and wilderness should not suffer from the attention. Education, awareness and vigilance can contribute to the health of these spectacular animals and their future. Photographer Stephen Wilkes and his team visited Robson Bight in August 2016 to conduct a shoot for his Day to Night series. Wilkes was invited by the Cetus Research & Conservation Society to highlight the impacts of human activity in the region on vulnerable marine mammals, particularly the northern resident killer whales. Wilkes' technique, which he has used everywhere from the Serengeti to New York's Central Park, is to photograph numerous moments for 15 to 30 hours, taking as many as 2,000 photos. The most striking images are then blended into a single photograph to evoke the passage of time. “Working from a fixed camera angle, I capture the fleeting moments of nature, humanity and light as time passes,” says Wilkes. Wilkes and his team were incredibly fortunate during the shoot. For two weeks prior to Wilkes' arrival there had been thick fog every morning and an unusual absence of orcas in the BC Parks Qwiquallaaq/Boat Bay Conservancy on Cracroft Island where they set up. However, on the day of the shoot, the fog lifted, and just 30 minutes after setting up a large group of transient killer whales swam directly past their location, just metres from shore. Throughout the 26-hour shoot, sea lions, resident and transient killer whales, bald eagles, Dall's porpoises and Pacific white-sided dolphins all passed by, as well as the usual vessel traffic — from cruise ships to fishing boats.